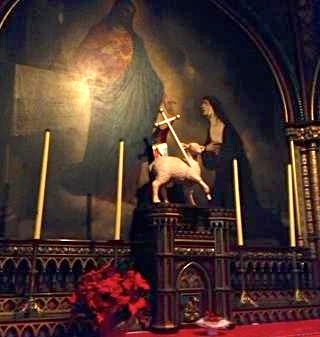 I am a great lover of old churches. Architecturally, I think they are incredible with their empowering wooden and stone features and their stain glass windows. The flowing curves of the arches and the attention to detail. I love visiting them simply to admire their beauty. 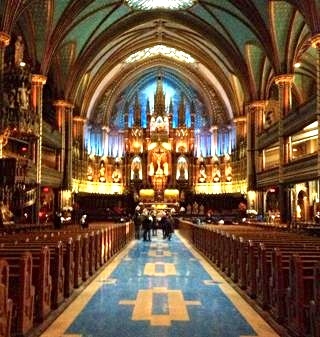 So it was almost a guarantee that I would fall in love with the Notre-Dame Basilica in the Old Port of Montreal. Admiring its structure from the square which faces the churches entrance, the Notre-Dame stands proud and tall. Strangely enough, it takes precedence over the surrounding buildings despite the fact it is not nearly the tallest in the area. The Notre Dame Basilica is bold and strong, that’s for sure. Montreal’s Notre Dame is a smaller version of that in Paris. It is a Roman-Catholic church that was originally built in 1672 after the Roman Catholic Sulpician Order arrived in Ville-Marie, Montreal. 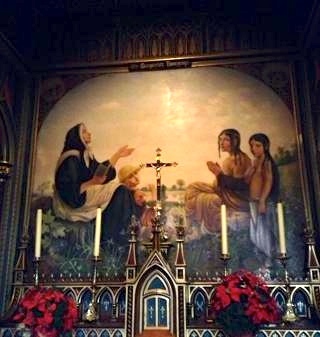 However in 1824 the church was redesigned and renovated in accordance to the design work done by James O’Donnell, an Irish-American Anglican from New York City. He was very much interested in the revival of Gothic Architecture and designed the church in this favour. It took many years to complete the renovations and by 1891, the first North American organ run on electricity with adjustable combination pedals. All 32 pipes of it! 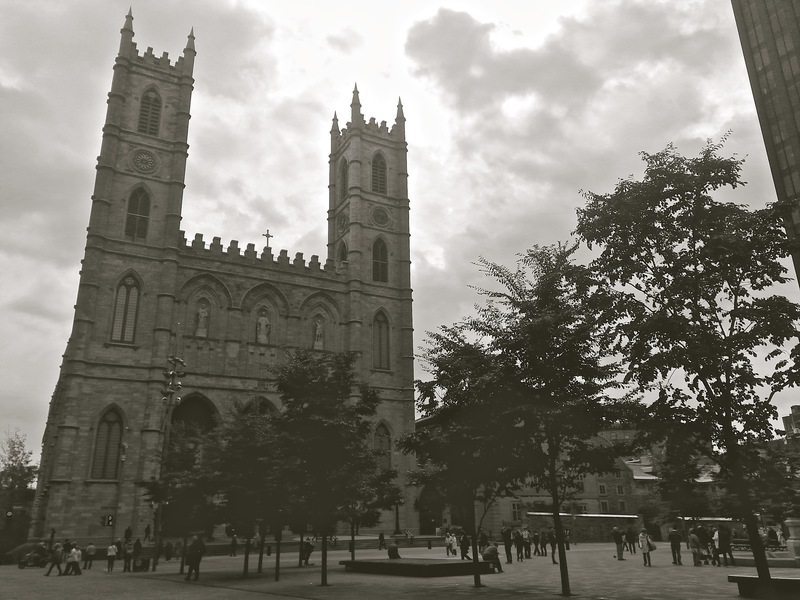 Today, the Notre Dame Basilica is very different to the original structure, however it is certainly a church to be proud of, and one, which everyone in town should take the time to visit. Locals and tourists a like. The interior is largely a deep blue colour with stars painted on the ceiling. The attention to detail is unreal with artwork, sculptures, stain glass and even some details so fine, you would not notice without being told about them or taking an extremely close look! For the best experience visiting this church there are two options. One, both English and French tours are offered free during the weekdays at various times. This is a great way to learn a little more about the construction and history of the building and ask any questions you have about such a historically rich masterpiece. Services and mass also run throughout the week at various times which are open for all if you are interested in attending. Services on the weekend feature the organ and choir which really is an amazing experience. All services are in French. Overall, I must say. The Notre Dame Basilica is like no church I have ever visited before. Rich in culture, history and design, I don’t think these words alone are quite enough to express it’s beauty. The Notre Dame Basilica is located at 110 Notre-Dame West, Montreal. All information regarding opening hours and service can be found on the website here. Admission to visit is $5.